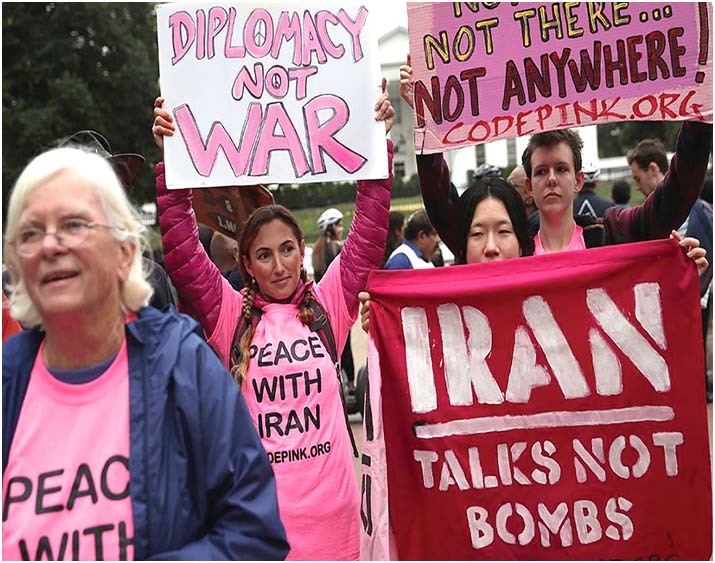 Join CODEPINK on Feb. 1114 in Washington, D.C. for an exciting opportunity to both advocate for peace with Iran in Congress and attend a terrific all-day conference on Iran at the Atlantic Council (see the agenda and sign up for their Feb. 12 conference here). With an energetic new Congress that has some great progressives in power, this is the perfect opportunity to check the administration’s warmongering policies and make sure our message is heard loud and clear we do NOT want another war. That s why we at CODEPINK would like to invite you to join us as we advocate to make peace with Iran a priority on Congress’ agenda. We will advocate for future bills that will prevent the administration from going to war with Iran and also encourage the US to rejoin the nuclear deal. Please RSVP here if you’d like to join CODEPINK on Feb. 1114th in Washington, D.C. to advocate for peace with Iran in Congress and remember to sign up for the Atlantic Council conference separately.